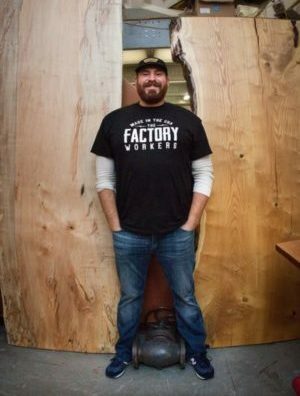 When jazz musician Matt Turowski joined The Factory, he was originally looking for a place to practice. A performer and composer, Turowski also needed space to store his collection of instruments, which includes an upright bass, piano, horns, and guitars. But since arriving at the building, Turowski also discovered a sense of community he said has given him an extra push he might not otherwise have found. “When other people are doing their thing, it makes it easy to do your thing more,” Turowski said. “If I was practicing at home, it’d be easy to call it quits after 10-15 minutes. Turowski’s 20-year career includes jazz gigs, sheet music transcription work, and lessons. He’s also writing a couple of books on music education, and produces digital play-along lessons and tracks for his students. When he’s not practicing, writing, or teaching, he’s performing on any of several different instruments.